The history of desserts is more than just a mere recounting of the first ice cream cone or the first time meringue was served. 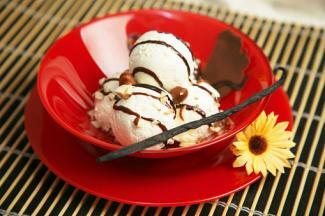 Sweets date back to ancient civilizations where people enjoyed fruits and nuts candied with honey. However, desserts as are commonly known today became popular through an evolution of technology and culinary experimentation. In ancient times, people enjoyed the food that was available. Ancient civilizations enjoyed the occasional treat of fruit or nuts rolled into honey. This, in essence, is considered the first candy. In general however, it wasn't until sugar was manufactured during the middle ages that people began to enjoy more sweets. Even then, sugar was so expensive that it was a treat reserved only for the wealthy on special occasions. However, starting in about 3000BC there is a discernable and traceable history of many of the foods that delight the sweet tooth. Ice cream can be dated as far back as 3000BC and perhaps was the first "dessert" in the sense in which it is known today. Ice cream was actually an invention of the Chinese, however, it was much more of a flavored ice than it was truly an ice cream. While Marco Polo may have brought the ice cream making technique to Europe from his travels, it was Catherine de Medici that made sorbet in fashion in Italy. While the exact point at which flavored ices became ice cream as it is generally thought of today, is not known; however, by the mid-1800's recipes for how to make ice cream were in wide circulation. Although vanilla isn't in and of itself a dessert, it certainly plays the starring role in numerous desserts-especially ice cream. Vanilla is the pod of a specific type of orchid that grows in Mexico. Somehow the natives of that region discovered that if you picked the pod, "sweated" it, and then let it dry for several months, you'd get vanillin--the strong flavor that it is known for. Contrary to popular belief, the Mexican Indians did not use it to flavor cocoa--preferring instead the spicy kick of cinnamon. The thin paper like pastry was common in ancient times being recorded as early as the early 1300's. It was commonly filled with nuts and spices. However, historians think that it probably was more spicy rather than a dessert. It's thought that filo pastries filled with nuts, dates or spices were served as appetizers. When you're looking at the history of desserts, it's interesting to note which dishes that are now desserts were once something entirely different. Rhubarb, the "pie plant" is widely known as a sour plant that is only used in with a lot of sugar--making it the perfect dessert fruit. However, rhubarb was originally cultivated for medicinal purposes. 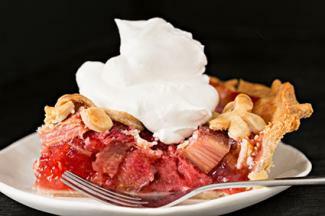 It wasn't until the early twentieth century that rhubarb began to be known for its use in pies. Like rhubarb, the original marsh mallow, was actually a white flower from a certain plant that had medicinal properties. Marshmallows, the kind that are enjoyed in s'mores, aren't recorded as even existing until the mid-nineteenth century. Another medicinal plant, licorice is related to other legumes like peas! However, it was also used as a flavoring in drinks such as beer and in other food. Rest assured, nowadays it's manufactured with synthetic materials that don't have any medicinal properties. 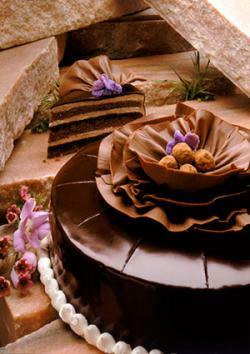 Chocolate is thought to have been brought back to Europe from explorations in Mexico and Central America. 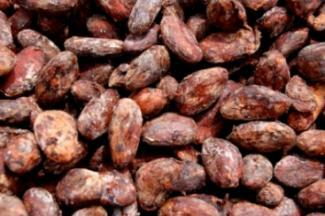 It was used in a spicy drink with cinnamon and in fact, cocoa beans themselves are very bitter. It's the addition of sugar (and milk sometimes) that makes the confection sweet as it's commonly enjoyed today. Pie was originally filled with savory fillings such as meat, or vegetables. Early American colonists liked to make pie frequently because the pastry it was made with was heavy and it you could stretch it out to fill more bellies. Likewise, custards and puddings were also savory being made with soaked bread and various leftover meats and spices. 1800s-Lemon meringue pie wasn't invented until the 19th century but meringue and lemon custards were common before then. The history of various confections is truly an adventure in culinary evolution. When you trace the history of certain desserts, you can easily see how influential inventions and exploration were on the passing of recipes, ideas, and ingredients to create new and tastier confections.